AROUND THE WORLD WITH DBP ADMIN SERKAN KONYA ~ 2015 Wrap Up. 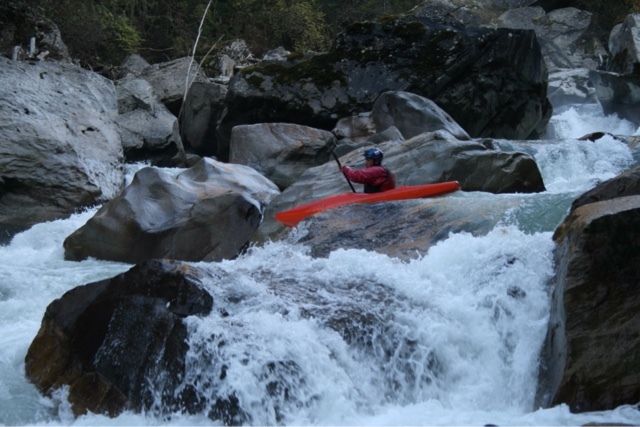 by Serkan Konya | DBP MAGAZINE ONLINE The World's Best Free Whitewater Publication. Well, the Earth did another loop around the Sun… Let’s have a look how it went for me in 2015. Somewhere in mid trip, an incident occurred; I can probably write a book about it but long story short, I’m very glad to have all these 15 years of worldwide experience and high quality training. Due to that, the event didn’t end dramatically. But! I could do nothing if Udo from Austria and Adele from the USA weren’t there. Thank you! You are my heroes! So in the end, we left a boat in a siphon on Uzumdere Creek, but the colorful characters of the group made the entire trip very special in every way. And the last night, the goodbye party in Antalya… Guess what? Yeah! That was one of the biggest nights I’ve ever had. Eki! You are a rock star! (This old fart attracted all the young girls in town that night 🙂 . 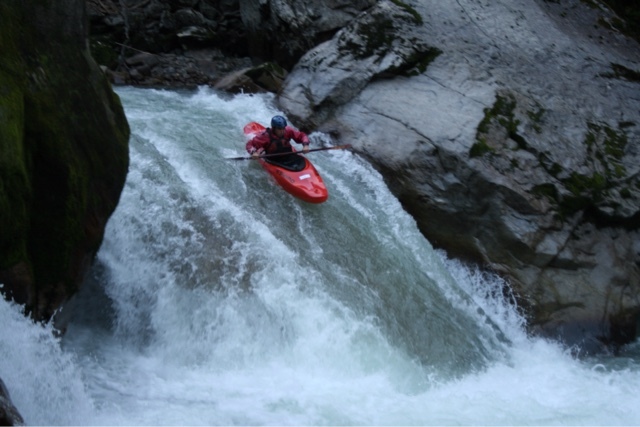 In May, I again started my summer season in Slovenia as a river guide and kayak instructor for Bovec Rafting Team. If not the Soca River itself; the strong friendship I have with Adis (the owner of the company) is the reason that I’ve kept going back over and over again since 2007. Unlike the previous year, we were so busy that it felt like the season would never end, even as it drew to a close. Can’t complain though, I hope it will be like that every time. 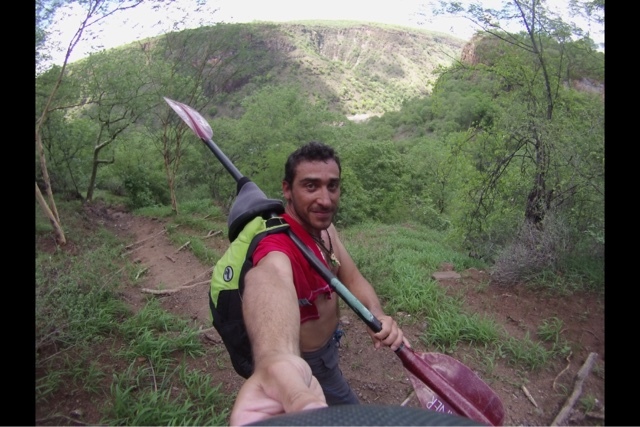 By mid July, I could see that I could finally afford one of my long term daydreams: Paddling the Zambezi River. So the flight was booked to Cape Town. 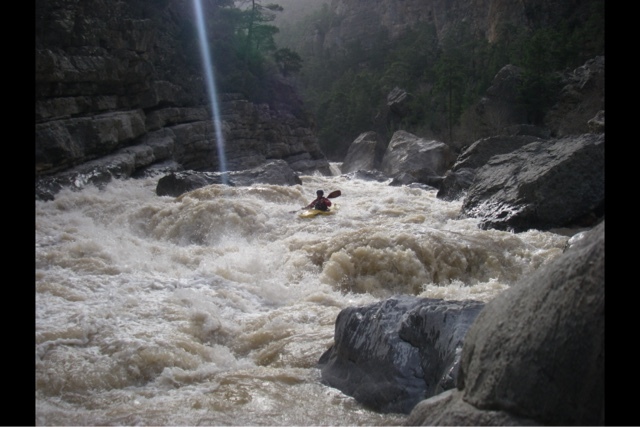 Plan A consisted of working on the Orange River in November and December, then head to Victoria Falls in Zimbabwe in January to meet and paddle with Paul Teasdale (another DBP Admin). Just a day after my arrival, I received a call for the first trip. Pack, meet Phil, and drive nine hours up to the camp at Namibia border. 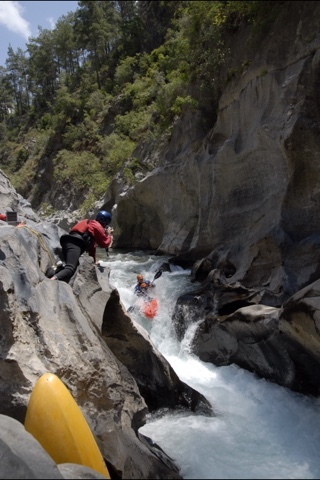 This trip is a four day self-supported expedition through the gorge and requires careful preparation. 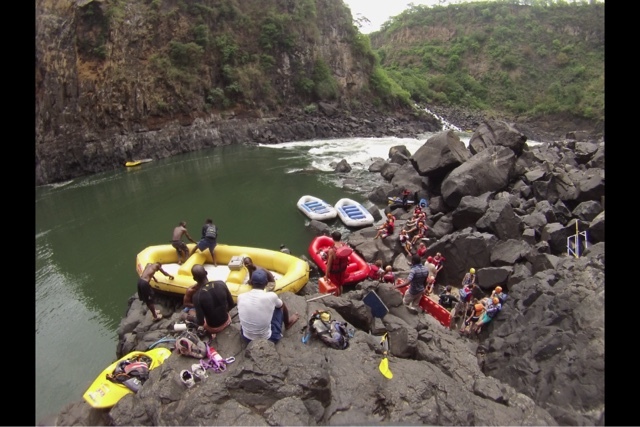 It’s definitely a wonderful journey and beautiful gorge, but this year Africa had the biggest drought in twenty years, and Orange trips turned into a bit of a suffer fest for us guides, as we had to portage almost every rapid with fully loaded crocks (two man duckies). After the trip, I decided to keep my old spine in place (I’m gonna need it on Zambezi) and change to Plan B: Head to Vic Falls earlier. But before I left CT, I guided another epic trip, this time to West Coast National Park with a group of school kids. Paddling the lagoon, walking through cobra territory, and arriving at Atlantic coast were just a few of the many nice memories. It was a sweet experience, a different type of excitement, and Phil is definitely the best trip leader I’ve met in a loong time. On my way up north, I made a small stop in Johannesburg to meet my friends Berge and Kay and their wonderful families. But in JB I realized that I can’t fly directly to Vic Falls, I have to apply online for a visa, and nobody knew how long it might take. And I couldn’t stay in SA any longer because my permit was almost expired, so I flew to Livingstone and waited for my visa about a week. Finally I arrived in Vic Falls and things started to get better again. It was good to met Paul and all the nice people around. 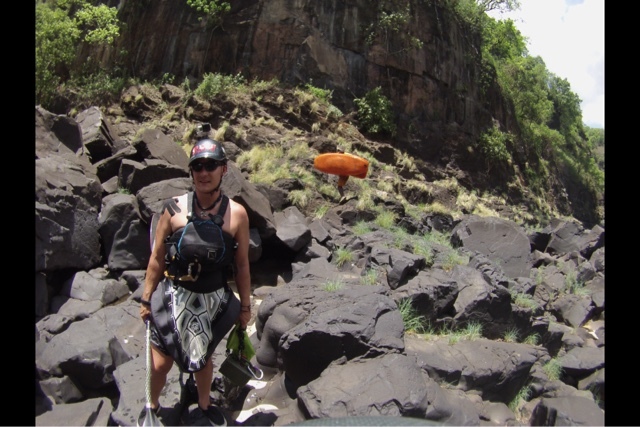 As he had dislocated his shoulder before my arrival, and it was going to be my first time on the Zambezi, we decided to take it easy and complete the run step by step. By this time, my money situation was getting tight. All the traveling and visa mess was pricey, and I started to calculate even the entry fee to the river, which is $ 16 a day included porters. 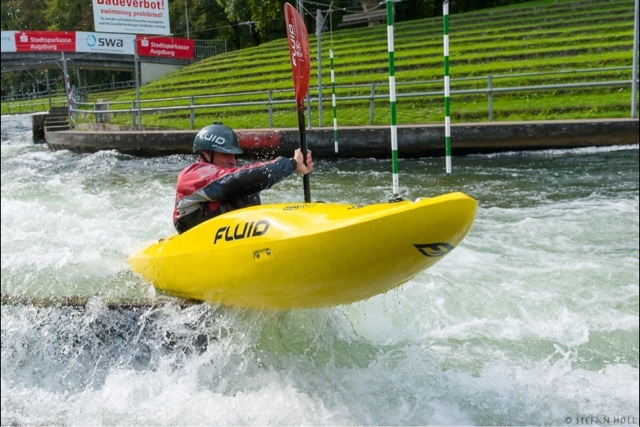 Meanwhile, Paul wanted to have a flatwater session before hitting the river again to check his shoulder, and it would also be good for me, as I was borrowing one of his boats which I’d never paddled before. We took the boats to the pool at the backpacker’s hostel I stayed at. We are doing some double pumps, cartwheels, and stuff; it’s a quiet day around the pool, only some kids playing in the shallow side. At some stage the sounds of fun from the kids changed to panic, and we see one of the kids in the deep side, face down… surely we both run to her, just in time! I think our being around the pool that day saved a life of a kid. The next day they started having swimming lessons. After some short runs, the day arrived that we would run till Rapid #21. On the hike down to the river, Paul said, ”Hey! 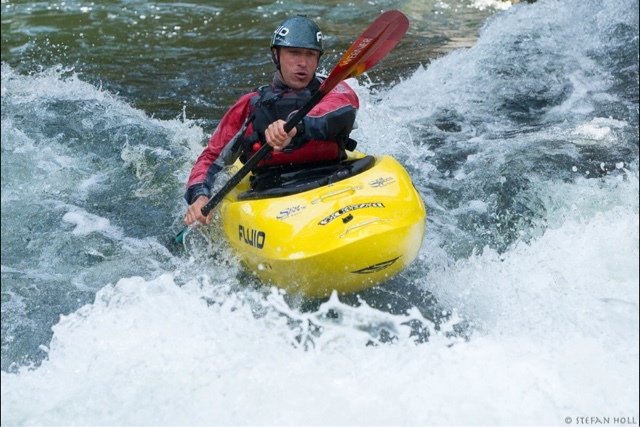 We’re going to paddle with Ben Marr today!” We had seen the Dream Line team on the river the other day, busy with shooting the movie. But seems like shooting was done and Ben stayed to paddle the river for himself. So we met below #1 and started paddling. All felt big and good, #4 went fine, and as we got closer to #5 with that pourover in my mind, knowing Paul is still protecting his shoulder, I asked Ben, “’Are you going to boof the pourover?” He said ”Yeah, run with me!” I boofed that pourover after him, and also the other rapids, one after another. This place is really special, it just feels right. Ben did spend plenty of his time in the eddies that day, explaining the lines to me, and all went soo good, my limited English is helpless to explain the perfection. Happy! Let me say that Ben Marr is not only one of the greatest paddlers out there, but also a super friendly person, and his way of explaining makes things way easier and more fun. Thank you Ben, Paul, and all the other paddlers that made my first visit to the Mighty Zambezi one of my best trips ever! 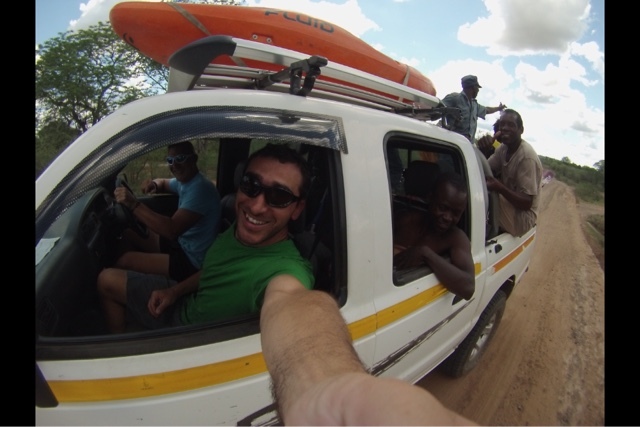 And thanks to everybody I met along the way that made my entire African adventure an epic and unforgettable experience! Also a special thanks to Kajakschule-Prijon (Augsburg, Germany) for their great support at every stage of the trip.